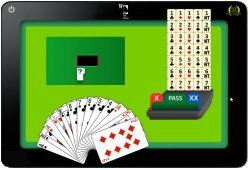 Play bridge online for free from novice to expert - Discover bridge base with Eddie Kantar - Improve your game while having fun: discover bridge, master bridge. Free trial - Play Kantar's booklets on tablets, smartphones : take advantage of a bridge World Champion's experience.
. endorsed by the World Bridge Federation. With the "Discover Bridge" App, Eddie proposes to novices to play immediately without any prerequisite knowledge needed. Everything is in the form of game play. 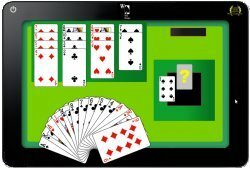 Discover friendly booklets which have hands on leads, bidding, and card play (PC - Mac - Tablet - Smartphone). Don't read it, just play it ! of a World Champion's experience ! Free trial and play… immediately ! Play free weekly individual tournaments and compare yourself to other players. Topics on Bridge, WBF, ACBL, Eddie Kantar and Bobby Wolff. Videos.